While I researched a recent article about modern kitchens, the search results repeatedly produced images of glass countertops. To my amazement, there are so many options and even more combination of options available. There are definitely some key designs that stand out for me and I’ve curated those in this article for your enjoyment and convenience. Directly below is a list of some of the variations available for glass countertops. As you see, there is a long list of choices to make before you design your enduring and sophisticated glass countertop for your bathroom or kitchen. Please note that most of the variations mentioned are easily applied to most styles of glass countertops. We know glass breaks so the first thing that comes to most people’s mind is the durability of the glass. The good news is that glass countertops have as much endurance as most man-made materials. Next, glass is naturally heat resistant so you can put a hot pan on it but for safety reasons, use trivets or hot pads. Additionally, if you select a cast texture, it hides dirt, fingerprints, and small scratches. When you shop for your countertops, be sure to ask about these features. Bright color infusion with these glass countertops enhances cooking creativity in an abstract design delight right in your kitchen. 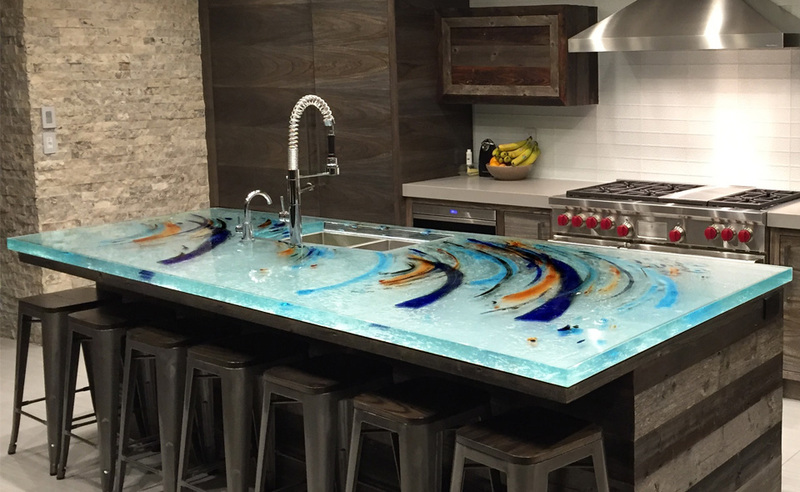 These layers of glass and color create one of a kind countertops for a highly unique effect. A cooking range comes to life in this oval end glass counter. It is as if the colorful layers in the glass are jumping right out from underneath the range. If you like custom looks that are a cut above, this is the countertop style for you. Add LED or RGB lights for an instantly glamorous effect. The glass compliments the stone wall and the colorful LED lights add another dimension to this bathroom countertop. The integral cut glass bowls are too beautiful for words and make a refreshingly delicate addition to this design. This clear glass countertop with bright white LED lights makes a crisp and clean statement in this kitchen. 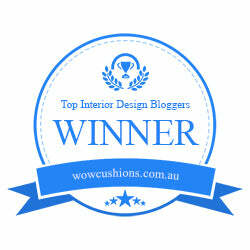 It is surrounded by a wonderful neutral color scheme and warm wood grains. The round glass globes of the pendant lighting add just the right touch to this modern setting. You don’t need a big room to enjoy a glass countertop. Swirling textures make this small counter an absolute delight. It is even lifted up to become additional storage or decor space right where you need it. What a great use of this small, often forgotten space. I love the way this small guest bathroom breaths sophistication. Not a detail is missed in this modern design. 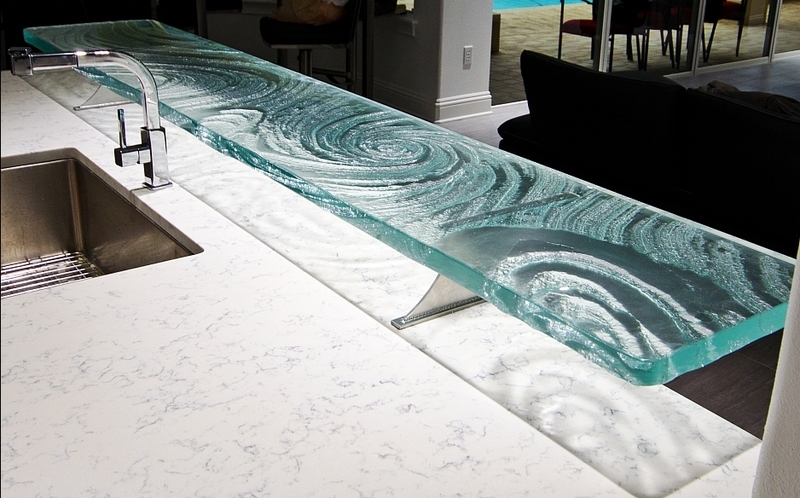 The pattern in the glass wall continues in the glass countertop for a smashing effect! Also, notice the blue LED lights detail along the base of the glass. Not to mention this masculine setting gets right down to earth with a rustic tree bowl basin. If these examples grab your attention, continue to search online for more styles and designs of glass countertops. Remember to ask about all the options that are available for this design medium to ensure your final selection is the best possible for years of enjoyment in your home.